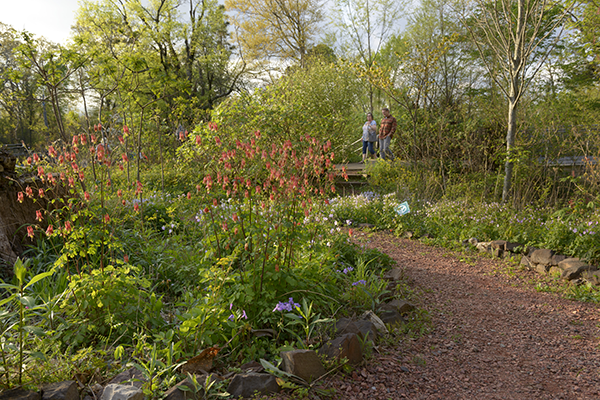 From all of us at Ruffner Mountain THANK YOU for such an amazing Native Plant Sale. It was truly humbling to see so many folks show up to support biodiversity. 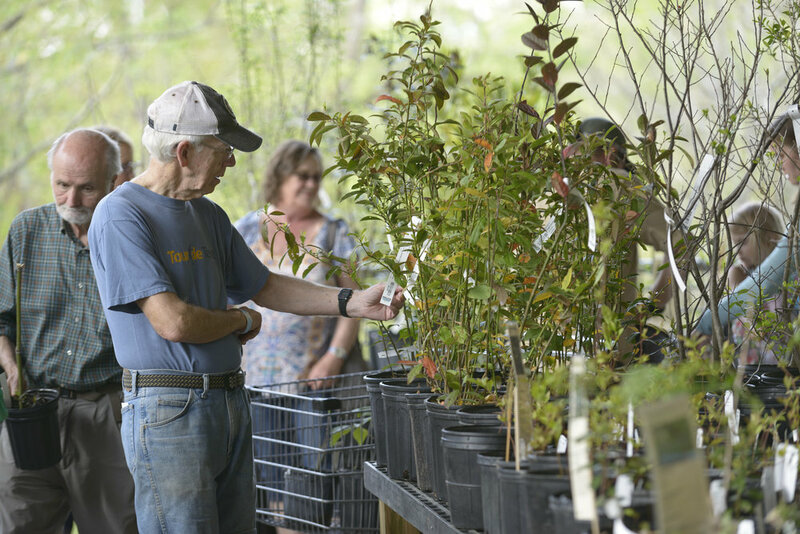 Thank you for bringing habitat gardening to your own home - that is what makes these plant sales successful. 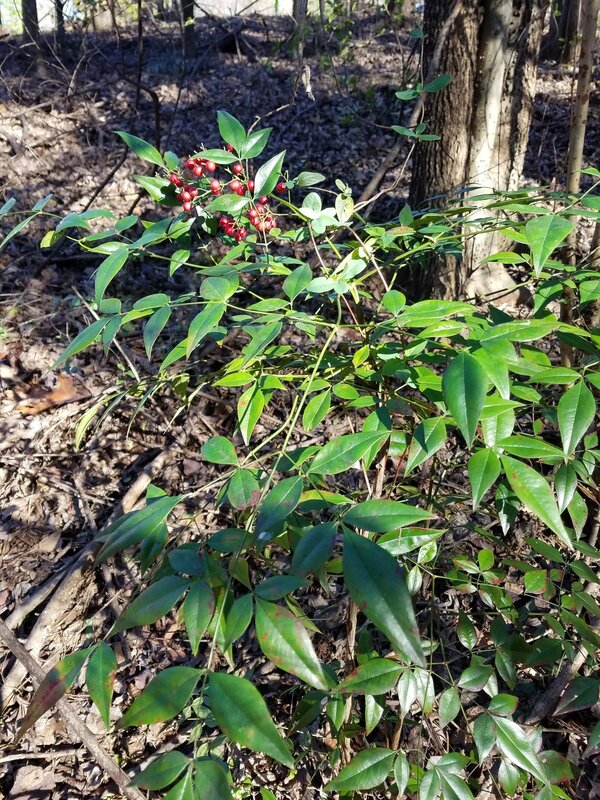 If we, along with Turkey Creek Nature Preserve can convince you that growing natives is vital to sustaining wildlife habitats, combating climate change, and conserving water - then we have done our job. 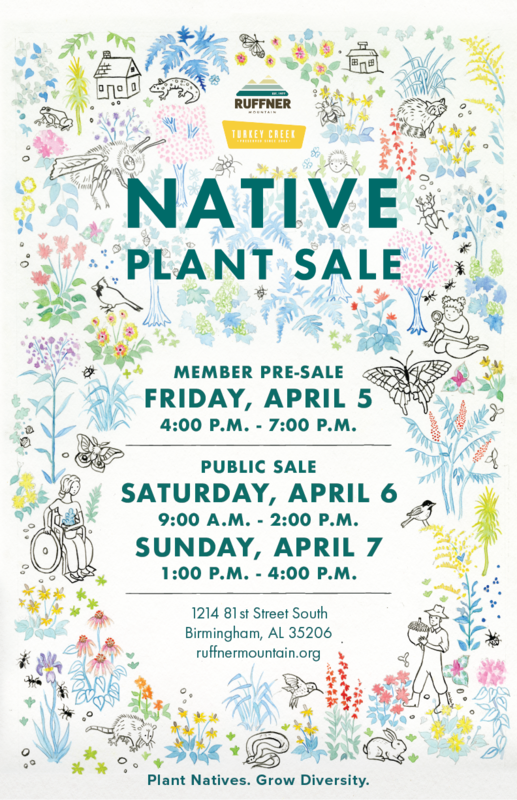 This year’s plant sale saw approximately 3,245 native plants entering yards and gardens in Birmingham and beyond. Some of our most popular natives this year were Woodland Phlox 'Blue Moon', Purple Coneflower, Heartleaf Foamflower, and Red (Scarlet) Buckeye. We’d like to give special thanks to all the wonderful volunteers who helped on Friday, Saturday, and Sunday including: Michelle Reynolds, Bob Farley, Mandy Nobles, Karen Hutchinson, Debbie Dumais, Ruffner Mountain Board of Directors, Friends of Turkey Creek, Officer Glenn Pleasant, Linda Gail Sherk, and the Blanche Dean Chapter of the Alabama Wildflower Society. We would also like to express our gratitude to several vendors who made our lives a lot easier while preparing for the weekend: Mom's Basement, Hop City, Hero Doughnuts, Scott Turner (United-Johnson Brothers of Alabama), El Barrio, Alabama Waldorf School, Revelator, and Diplomat Deli. You’ve asked for it… and here it is! Thank you to our members, for your help supporting the place that you love. 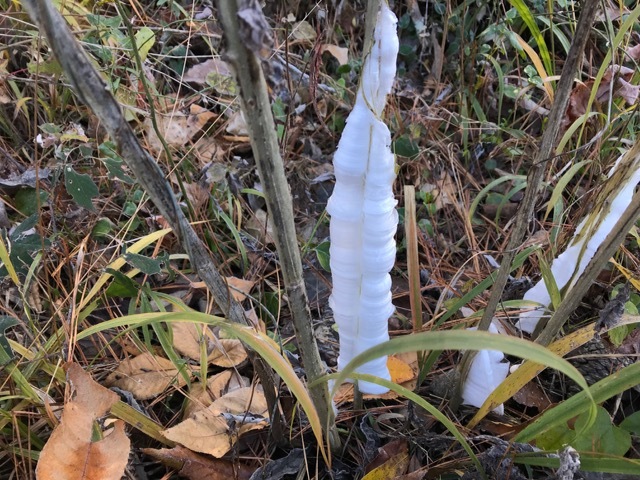 Frostweed (Verbisina virginica) reminds us that even in winter we can experience the magical beauty of native plants. The Nature Center will be closed on Thanksgiving Day and on Friday, November 23rd. However, our trails are open from dawn until dusk and we have public restrooms, and water fountains on the back porch pavilion. We will reopen the Nature Center on Saturday, November 24th at 9:00 am. From all of us at Ruffner, have a safe and happy holiday! 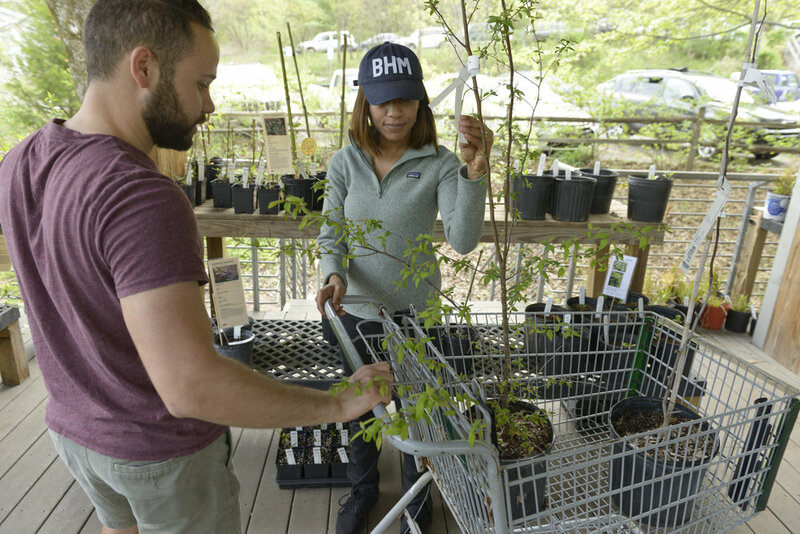 For the past few months, Ruffner Mountain has been, and will continue to be, a site for research conducted by Bat Conservation International (BCI) in conjunction with the United States Forest Service, Northern Arizona and the University of Winnipeg. 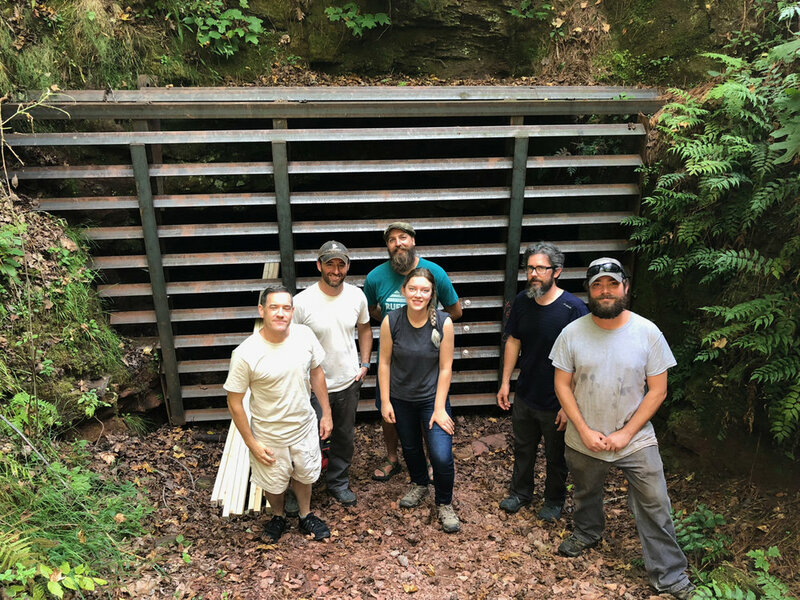 This study is currently testing treatment options in mines that have tested positive for White-nose Syndrome (WNS) - a fungal disease that is devastating bat populations in North America. This study, along with BCI. and their partners, have recently been announced as one of the recipients of the Bats for the Future Fund 2018 - a grant funded by The National Fish and Wildlife Foundation (NFWF), in partnership with the U.S. Fish and Wildlife Service, U.S. Forest Service, Avangrid and Southern Company. Ruffner wishes Bat Conservation International, Inc., their partners, and all of the recipients of the Bats for the Future Fund success in their endeavors. We will keep everyone posted as the results of this study emerges. In the meantime, consider donating or becoming a member of Ruffner. You are not just helping a beautiful greenspace remain open -you are also supporting a location for groundbreaking research.